Zenit St. Petersburg started its first-ever Last 32 campaign in style with a 72-84 road victory over CEZ Basketball Nymburk. 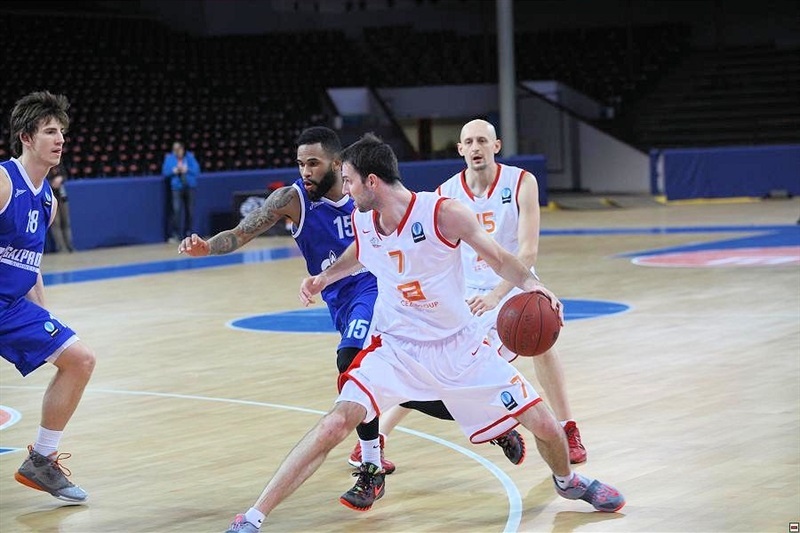 Zenit used a 10-1 run in the third quarter to build a lead they were able to keep till the end. 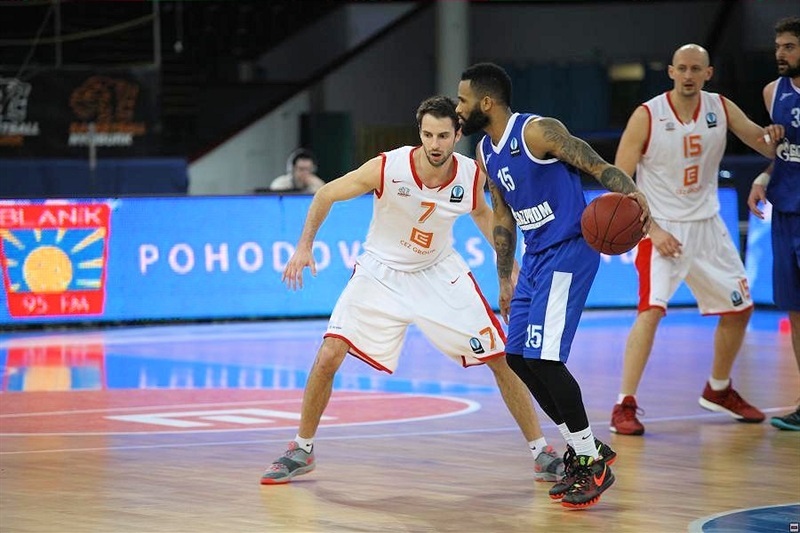 Walter Hodge led the winners with 18 points and 7 assists, Artem Vikhrov added 15 and 7, Dejan Borovnjak nailed 11 and Kyle Landy scored 10 plus 7 boards. Tre Simmons scored 19 for the home team, Christian Burns 16 and Darius Washington chipped in 14 with 5 assists. 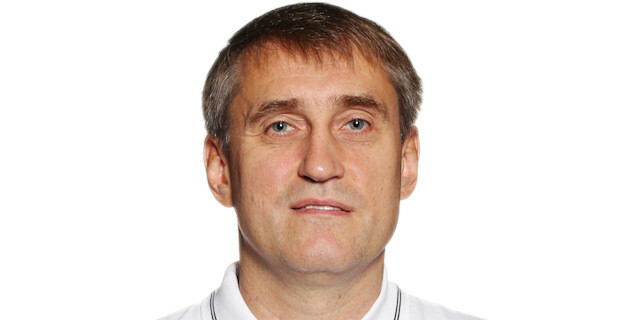 The score was tied twice before Artem Komolov from long distance gave the first margin, 12-17 to Zenit. Pavel Houska fueled Nymburk, but Hodge finished with a layup and Landry posted a jumper from mid-range to lead 16-23 at the end of the first quarter. At the midway point of the quarter, Hodge gave the visitors their first double digit margin, 19-30. He also extended it after a steal and layup. Burns hit a jumper for the hosts, but Vikhrov capped a 2-9 run for a 21-36 cushion for Zenit. Simmons scored 5 consecutive points for the hosts to get within 9. 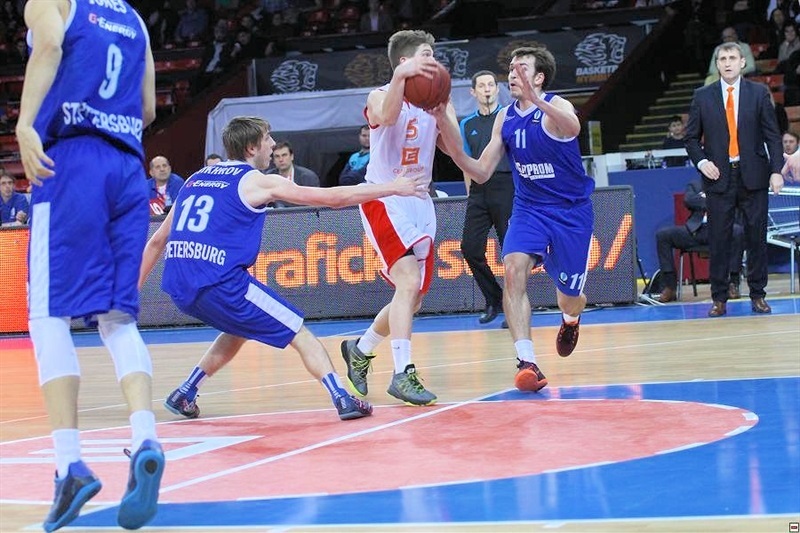 A three-point-play completed by newcomer Pavel Spiridonov gave a 34-46 advantage to the visitors at halftime. Simmons again from beyond the arc, cut the margin to 42-50, then 8 unanswered points from the hosts, with Simmons on fire, made it 50-52. Zenit answered with a 10-1 run capped by Vikhrov to go ahead 51-62, before he and Washington exchanged jumpers to make it 54-64 through three quarters. Hodges scored early in the fourth quarter from long distance and extended the margin to 54-68. The visitors kept a safe margin the rest of the way fueled by Borovnjak and Landry, while the hosts never got closer than 8. "Honestly, I was very afraid about this game. But at the same time I hoped that we are ready to play. Because we came back after the break. We had two Czech League games, we had the tough game in Khimki in VTB league so we could feel at the right level even if we didn´t play bad against Khimki. 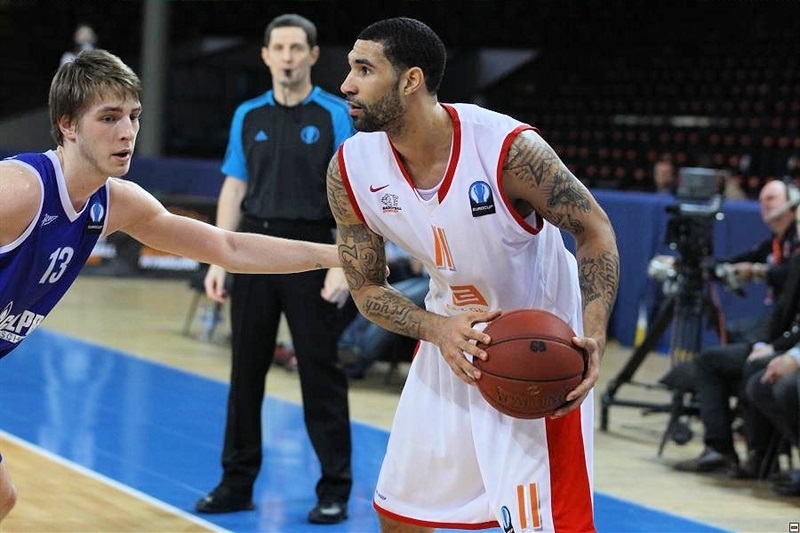 We knew that Zenit is very young, but we were playing a team with confidence and Walter Hodge. He was the key player again. One of the game tasks was how to stop him. We put on him Vojta Hruban, but Hodge read well the game tonight. Generally we were poor defensively. 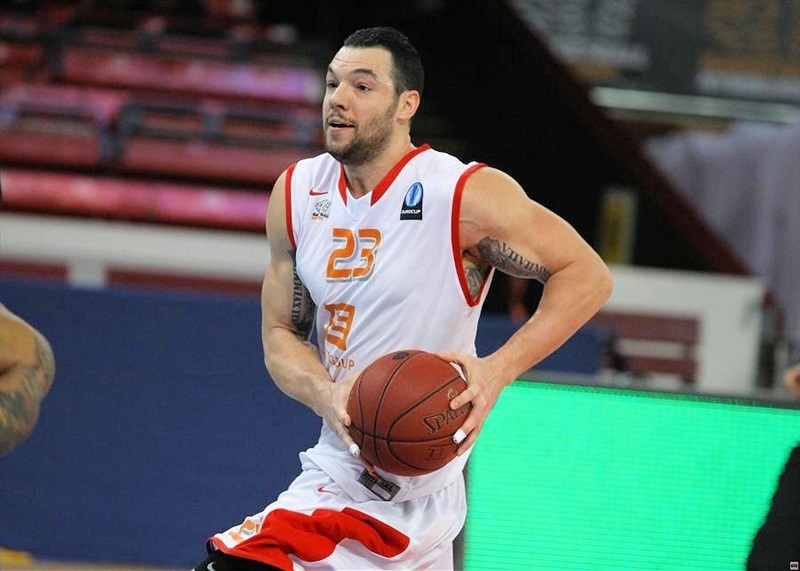 We were soft, we didn´t use good fouls, we were late even though we talked about in practice. In the third quarter we came back a little bit. But at the important momentum, the referee didn´t count the clear basket. I don’t know how come he didn´t see it. Everybody makes mistakes but we went down. But we made too many mistakes, missed too many layups and easy baskets." "It was very important game for us. It was the first game in the Last 32, first game after Christmas break and first road game. Before the game we had some problems. Walter Hodge played with high temperature, but he played much better with than without the temperature. We came here with just 11 players. We were a little bit afraid about the rotation. But we did everything that we wanted in defense. We scored a lot of easy points. We missed some knock down three-pointers but it was generally a good game for us."